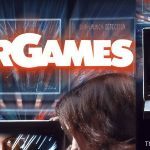 WarGames is a Dungeon Raid variant based on the classic 1980’s science fiction movie of the same name. The movie told the story of a young gamer who accidentally hacks into a real life nuclear missile program, thinking it a game. The film follows the attempts of the boy and the military team to try to put right all his mistakes and prevent World War III from occurring. The game actually puts you in control of the WOPR computer system from the movie and tasks you with taking on various characters from the film in battles that are very similar to Dungeon Raid. The heavy Dungeon Raid influence isn’t a bad thing at all, as Dungeon Raid was a great puzzle game, and I am sure fans of that title will want to take a look at this. The meat of the gameplay is all about matching tiles. Sliding your finger across three or more matching tiles will cause them to disappear, with more falling from the top of the screen to replace them. You can match as many as you like, with added flexibility offered by the fact that you can also match diagonally. This makes it possible to match near entire screens with one clever swipe. The difference between this and the many other matching puzzle games out there is the battle element. Each tile has a purpose, so there are health, nuclear, research and many more different types. 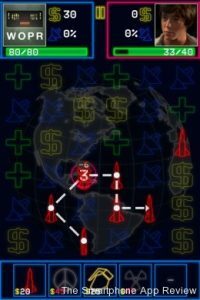 Matching three or more health tiles will naturally increase your health, while matching three missiles will attack your opponent, reducing their health somewhat. The enemy will also get to use tiles, and these are marked with a number, counting down the turns until it is activated. So, for example, if a 3 appears on a missile with a small number 20 over it, you have three turns to stop the opponent from scoring 20 damage to you. 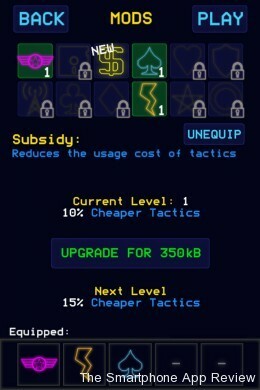 There are also many power-ups that can be used to boost your chances of winning. These must be purchased with coins either earned in the game or bought via an IAP, and your selected power-ups for each game are laid out at the bottom of the screen for use at any time, although each use also costs coins. It is important to note that each use of the power-ups takes coins earned in that game, not from your total. These power ups vary, from a nuke that launches all the missiles on screen, a tank that attacks enemy units in play across a row, and many more. 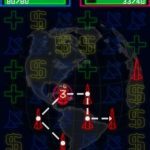 There are also seperate, passive powerups that can be obtained in a similar way, such as the ability to earn coins with every turn or reduce the enemy starting power. 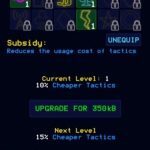 All these powerups can also be upgraded to higher levels, and to be honest you are going to want to upgrade many of them straight away, as the starting levels for them are quite poor. So, the game turns into a constant battle, with tactics worked out on the fly. Do you take out that enemy nuke straight away or risk it and grab some cash? It is frantic stuff, and good fun. You really do feel like you are taking part in a battle of wits, but I do have some reservations. The placements of enemy nukes can be vicious, and quite a few times I have had two nukes appear at once with no way at all of destroying them before they killed me. The problem is increased by the fact that sometimes the enemy gets weapons with such high hit points(40%+ of your health) that one or two can wipe you out. Yes, you can use some specials to help you out, but if you are low on coins then you can stare inescapable defeat in the face for several turn before the end. I am of the opinion that there should always be an escape or way out in any game, puzzle or not, unless your own bad play gets you into trouble, but here it happens just a bit too often for my liking. Relying on some random nukes to appear to save you in time should be a rarity, not a regular event. It is still a very good game, and the balancing issues will no doubt be worked out by the developer in future updates. I would also like to see some kind of multiplayer mode added in the future, as the game is a perfect fit for it. There is a lot of game here, with six opponents to take on, three levels of difficulty and Game Center integration. I love the fact that you can turn the scanlines on or off, a brilliant touch. Overall, I really enjoyed WarGames. There are some balance problems, but the strong core gameplay pulls it through. The presentation is excellent and is sure to please fans of the movie, and the battle based gameplay is fun and frantic. If you remember the movie and are a fan of puzzle games, then I would snap this up.